Mountain View on the Haven is a lovely large house with space for all the family. 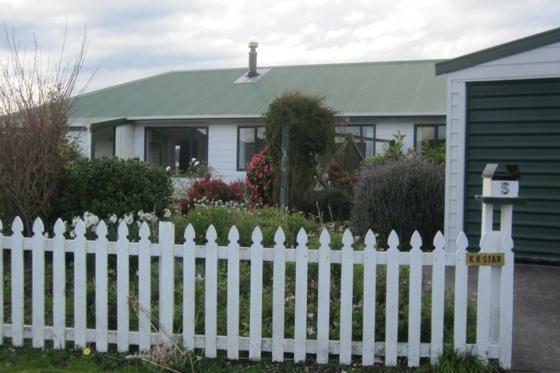 Located in a quiet area, but very close to Kaikoura town. This modern house has a home for home feel with spacious living areas such as kitchen, lounge which make it easy for get together and catch up with friends and family. Payment by internet banking or credit card. Please be aware all credit card transactions incur a bank fee of 3.1% Your deposit and/or bond can be secured with your cc details. We also offer a linen hire service which includes towels. Please enquire if required. Our cleaning service is also available after your stay if you prefer not to clean after your holiday. All bookings require your cc details presented to KKHH to secure your bond before check in. The apartments are all double glazed, smokefree, with heat pump/air conditioning and fully equipped kitchens and laundries with modern appliances: Sky Guest Select, DVD player, CD player/stereo unit, free wireless internet access. Master bedroom has ensuite and king-size bed, bedroom 2 offers king/twin option and own separate bathroom. All our apartments have their own completely private balcony -the ultimate spot for that relaxed drink and outdoor dining. Extra portable beds, portacots and highchairs are available for children. These apartments are within close walking proximity of Kaikoura's town centre (500m) and its amenities and exactly 1km from the well-known Whale Watch centre. Beach is over the road from the property. Award-winning restaurants are only a matter of metres away. Follow the main street of Kaikoura south to the Esplanade which follows the waterfront. Waves at Kaikoura Holiday Homes is on your right, opposite the beach. Children under the age of 2 years old or less are free of charge when using existing bedding or porta cots. Baby cots and high chairs are usually available on request.